One of the simplest and most delicious ways of serving Cornish asparagus. 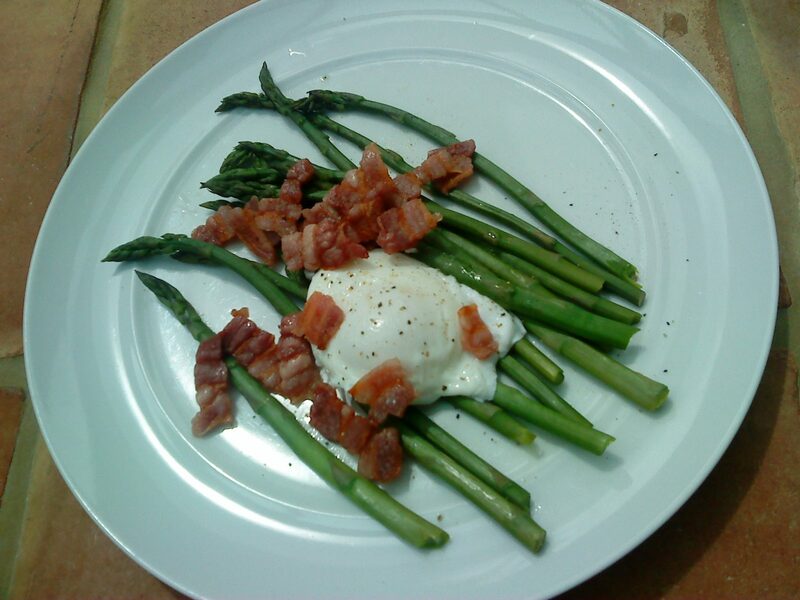 Steamed asparagus, fried or grilled dry-cured bacon, poached free-range egg and a sprinkling of freshly-ground black pepper. Maybe some steamed Cornish new potatoes.